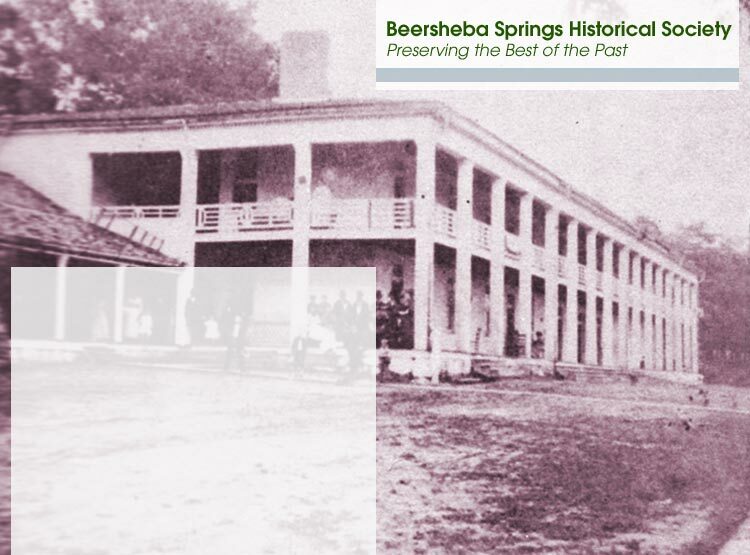 The mission of the Beersheba Springs Historical Society is to collect, preserve and promote the history and culture of Beersheba Springs, Tennessee, and to foster a sense of community among its people. We operate a small museum, and publish a handful of books that speak to the founding, building, and life of the community and its inhabitants, many of whom have lived in the vicinity for multiple generations. We generally meet monthly during the summers, beginning around Memorial Day and ending around Labor Day. We are also pleased to host two barn dances each year; one is held on or around the 4th of July, while the other is in September or October. The schedule for meetings and dances is shown on the home page, and can also be downloaded as a PDF. Join the society -- membership form. This form can also be used to update your information.